Cummins’ Innovation Day – Mat-Comp inc.
On November 1, an Innovation Day was held at the Cummins Technical Center in Columbus, IN. Mat-Comp and Compsult were invited to present their work on the development of lightweight composites parts working at very high temperatures (> 1000 ° C) for use in combustion engines. The event was organized by the Consulate General of Canada. 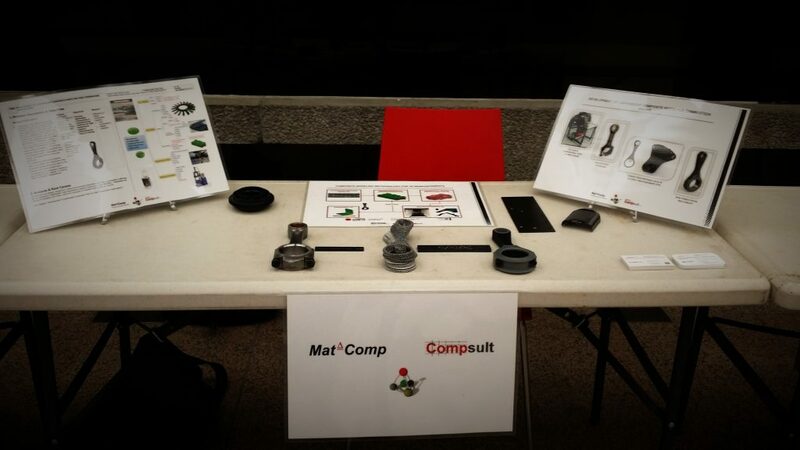 Mat-Comp – Compsult have been selected by Cummins from dozens of Canadian companies to demonstrate the know-how of local businesses. Several key decision makers, engineers and other key people from Cummins came to our stand to discuss the possibilities of using our technology in engine design. Recall that the objectives of this bold project are to develop these advanced materials to eliminate cooling needs while increasing efficiency and reducing the required power of engines.